If you find yourself longing for sweeping coastal views, calming ocean breezes and front row seats to some of the best sunrises and sunsets the world has ever seen, you’ve come to the right place. 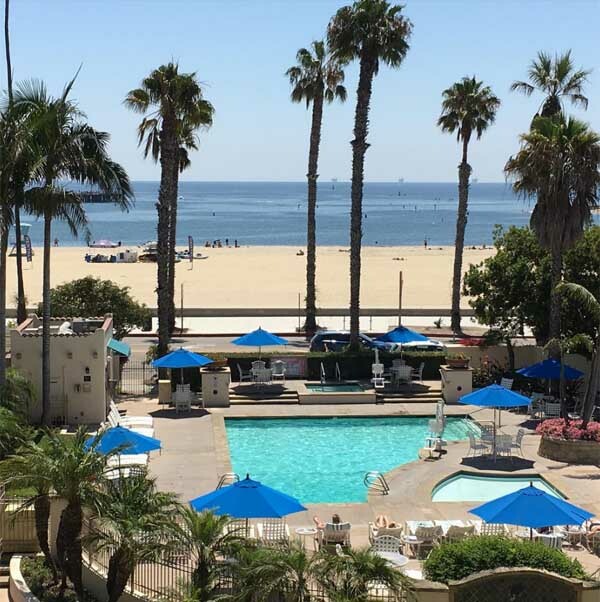 While there are numerous resorts and hotels scattered throughout the Santa Barbara South Coast that you would love to call home, we’ve compiled a list of Santa Barbara beach hotels that place you seconds away from sinking your toes in the sand. Sprawling relaxation is what you’ll find at this ocean-front property. Located along Cabrillo Blvd., take the stress out of traveling and find yourself mere minutes from all of Santa Barbara’s top downtown attractions. The Santa Barbara Zoo, East Beach, Stearns Wharf, The Funk Zone and more, all within a short walk. How does breakfast in bed with a seaside view of Stearns Wharf sound? The newly opened Hotel Californian treats guests to the best of both worlds, luxurious ocean-front accommodations for you and a visual feast for your Instagram followers. Floor to ceiling, the luxurious Hotel Californian is a breathtaking mix of California Spanish Colonial Revival architecture and stylish, Moorish-themed interior designs by celebrity designer Martyn Lawrence Bullard. 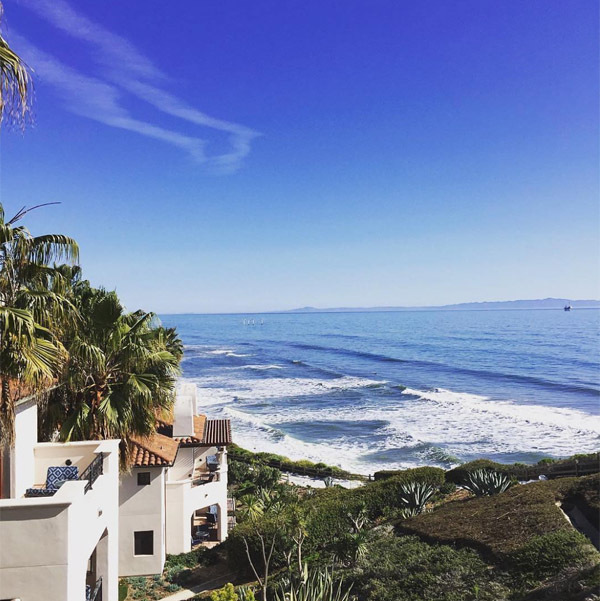 If you’re a frequent visitor to Santa Barbara, see Santa Barbara atop a new vantage point, Hotel Californian’s stunning roof-top. 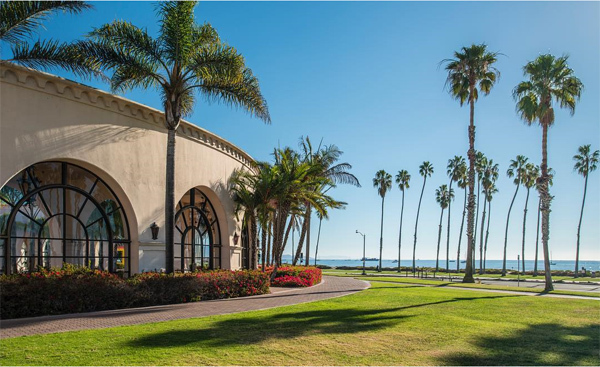 With its proximity to Santa Barbara’s Waterfront and The Funk Zone, guests are treated to 360 degree views of what makes Santa Barbara, The American Riviera®. Spend your time in paradise, experiencing quintessential Santa Barbara at this charming property. Not only will you fall in love with Hotel Milo, so will your pets! Hotel Milo welcomes all members of the family with open arms, and paws. This Mediterranean style hotel oozes tranquility and relaxation. Indulge in a spa treatment or go for a sunset beach walk. Hyatt Centric Santa Barbara encourages you to kick-back and kick off your shoes. Style and comfort are calling at the newly remodeled Santa Barbara Inn. Awake to complimentary breakfast before strolling Santa Barbara’s East Beach. If you’re up for a game or two of volleyball, beachside courts are just across the street and serve up an afternoon of fun in the sun.